Philadelphia 76ers, general manager of Elton Brand, called in the Los Angeles Lakers, head of the Magic Johnson basketball operations on Monday afternoon, to apologize for an innuendo in a radio interview that the Lakers called for – anecdotal – to ask Johnson to talk with Sixers about Ben Simmons in the source league said ESPN. In an interview for 97.5 The Fanatic on Monday morning, Brand said: "Rob Pelinka called me and said that Ben wanted to talk to Hall of Fame after the season, Magic was on the list, he asked for authorization … I said no." He did not mention in this interview that one of the six, at the urging of one of the brothers Simmons, first contacted Pelinka, which caused his call to Brand. The Lakers released a statement on Monday that read: "To clarify, last November 76ers sent an email to the Lakers asking if Ben Simmons could talk to Magic Johnson about the Hall of Fame career." 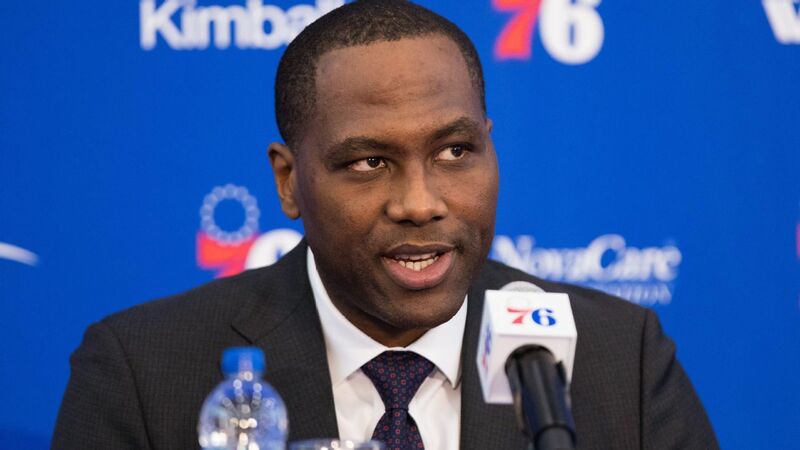 76ers, CEO of Lakers Rob Pelinka contacted Director General 76ers Elton Brand and informed him that Magic could only do so if the Brothers gave him prior written permission. The NBA spokesman Mike Bass said ESPN on Monday: "The league office is wondering if there has been any contact between Ben Simmons and the Los Angeles Lakers who violated the NBA rules." "I have a great relationship with Ben and [his agent] Rich [Paul] and we expect it to be Sixer for a long time "- said Brand Adrian Wojnarowski from ESPN. – He is interested in talking to some great players of all time and we support. "I had a short dialogue with Rob Pelinka, whom I have known for a long time, but nothing is planned, and our common goal is to push the postseason, again we do not sweat – the end of history." Later in the day, Brand talked directly with Johnson to clean the air, sources said.